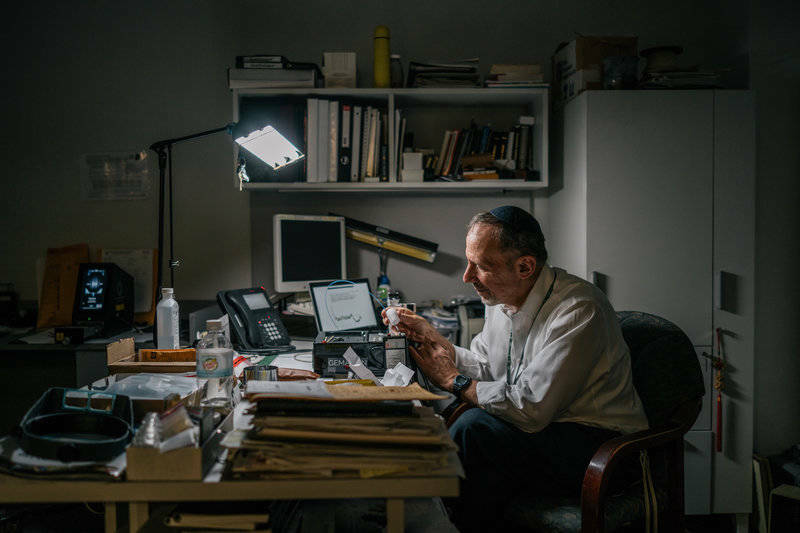 Around the corner from the famous Diamond District in New York City, David Weinstein sorts through some envelopes on his cluttered desk. All of them are full of diamonds. "I deal with diamonds all day long, for three decades," says Weinstein, executive director of the International Gemological Institute, a nonprofit research institute. "To me, diamonds aren't anything spectacular. It's hard to get me to say, 'Wow!' "
But lately he has been impressed by certain diamonds — those created in the lab. "These are all laboratory-grown," he says, unwrapping diamonds and lining them up inside a folded piece of white paper. Under a bright light, he points out how colorless they are, and how, to the naked eye, they're indistinguishable from diamonds that took millions of years to form deep within the earth. Would-be diamond-makers have spent about half a century learning how to churn out big, sparkly diamonds like these. And it wasn't easy. Back in the old days, Weinstein would rarely see lab-grown diamonds, and they didn't look all that appealing. "Ten years ago, they were mostly very yellow, or very orangey-yellow. If you had something that wasn't really intense yellow, it was probably a brownish-type stone," explains Weinstein. "They've figured out how to get rid of all that color and go into the white diamond world. The quality has gotten to the point to where they're astonishingly white." And white diamonds are what most people want to buy. Synthetic diamonds are starting to appear at tony retailers like Barneys New York, which just introduced them in October as a high-tech, eco-friendly alternative to mined gems. 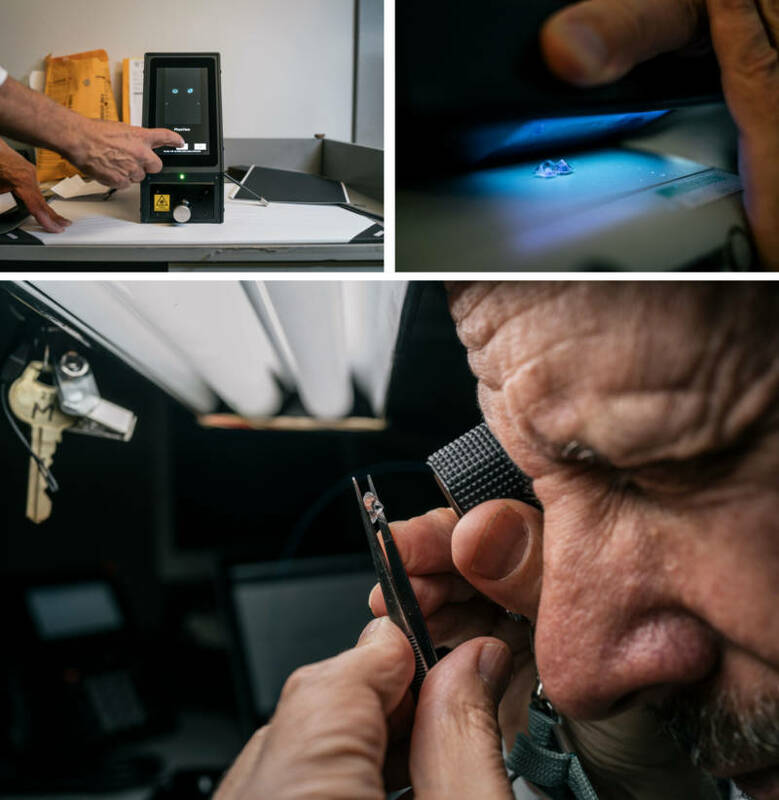 Each week, Weinstein's laboratory receives lots of manufactured diamonds from folks who want an independent assessment of the four C's: cut, color, clarity and carats. Some of the stones come from a company called WD Lab Grown Diamonds, just outside the District of Columbia. Yarden Tsach, who runs the place, explains that inside their diamond-growing machines are vacuum chambers. At the bottom, they put a little bit of solid diamond. That's the seed for diamond growing. Then they add gases to the chamber and microwave. This creates a reaction that deposits more and more carbon on the seed, building the diamond up until it's enough to look good on a ring. "On most of the cases, on the floor here, it will take about eight weeks," says Tsach. And he wants to be clear — what they're making is not cubic zirconia or some fake. "It is diamond," he says. "It's not something else." But compared to diamonds mined from the ground, those from the lab are about 30 percent cheaper. "When you compare them to the alternatives for the same budget, they are definitely nicer," says Tsach. "The market is huge. We cannot satisfy the demand. We're expanding and we still cannot satisfy the demand." There are now so many companies cranking out diamonds that just this year they banded together to form a trade group called the International Grown Diamond Association. 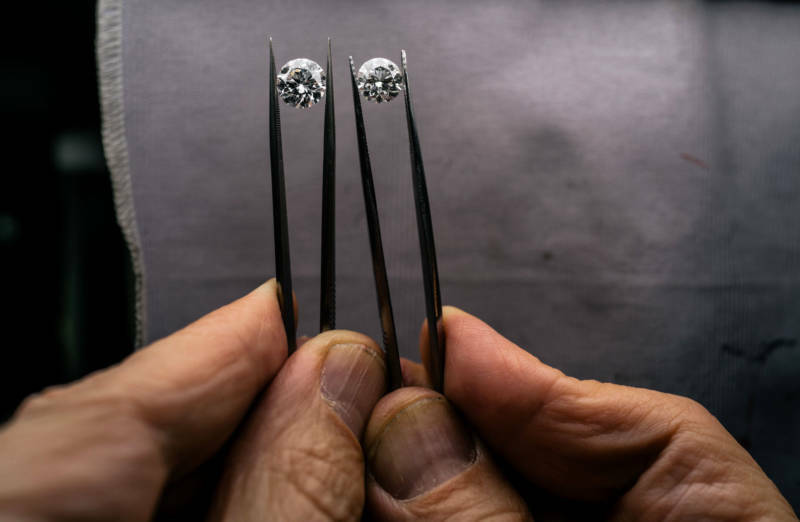 So far the group has written to the Federal Trade Commission to oppose using the term "synthetic" to describe these manufactured diamonds, saying this term carries a connotation of being artificial or fake and that it is "ripe for intentional disparagement of laboratory-grown diamonds." 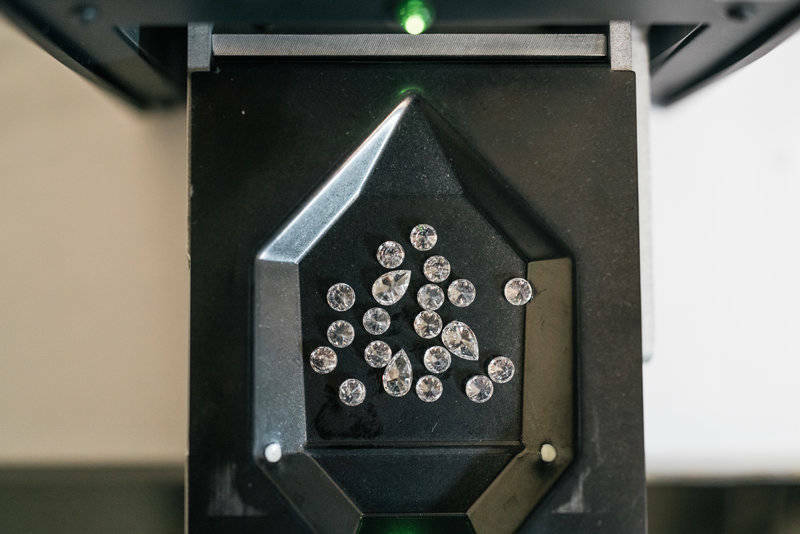 A recent report from the investment firm Morgan Stanley found that lab-grown diamonds currently make up maybe 1 percent of the global market. But it predicted that could grow to as much as 7 to 15 percent in the next few years. "I think there will always be a distinction between what came out of the ground, that took millions and millions of years to make, and what was made in the last, you know, 72 hours," says Weinstein. His lab can tell the difference — they use microscopes and other instruments to look for subtle features that reveal a diamond's origin. "We're not fooled. We feel 100 percent confident that's something we can do all the time," he says. And larger stones get laser-inscribed, so that the manufactured stones literally have words like "lab-grown" written right on them. The trouble is, smaller diamonds don't. And not all diamonds get extensively tested. Very small stones account for a significant part of the diamond trade. They're used to accent larger gems or create jewelry that's studded with the teeny sparklers. "For many manufacturers who make jewelry with small stones, it's just not economically feasible for them to send 10,000 stones into the laboratory and pay the expense to have every stone tested," says Weinstein. Already, there have been cases of undisclosed lab-grown diamonds getting mixed in with bulk batches of other little diamonds. Can You Guess Which Diamond Is Lab Grown? A few weeks ago, the U.S. Jewelry Council hosted a meeting in New York for major players in the diamond business to discuss how to deal with the threat of undetected lab-grown stones infiltrating the market. One possible solution is new technologies for testing, like those under development at the Gemological Institute of America. "Our main mission is to educate and protect the public," says Tom Moses, the chief laboratory and research officer. Inside the institute's gleaming office building, which looms over the Diamond District, he shows off a prototype of a machine that can test incredibly small diamonds in bulk. "Do you see them, in that white tray, being loaded and picked up?" says Moses, peering inside a glass box the size of a refrigerator and pointing to tiny diamonds the size of poppy seeds. "There are thousands in there." Testing each one takes about two seconds and costs 8 cents, he says. The machine sorts the diamonds into either lab-grown or natural. Moses says his organization doesn't favor one over the other. "That's not our job," he says, "to determine what the right kind of diamond is for an individual." He says they just want to make sure that everyone's clear on exactly what they're buying, "so that the marketplace — and mainly the public — can make an informed choice."